Offering comfort and great services at budget rates, OYO 595 Hotel Aravali View in Manesar is an ideal lodging for travelers touring the city. Maintained by a skilled and friendly staff, the OYO ensures you have a good stay. 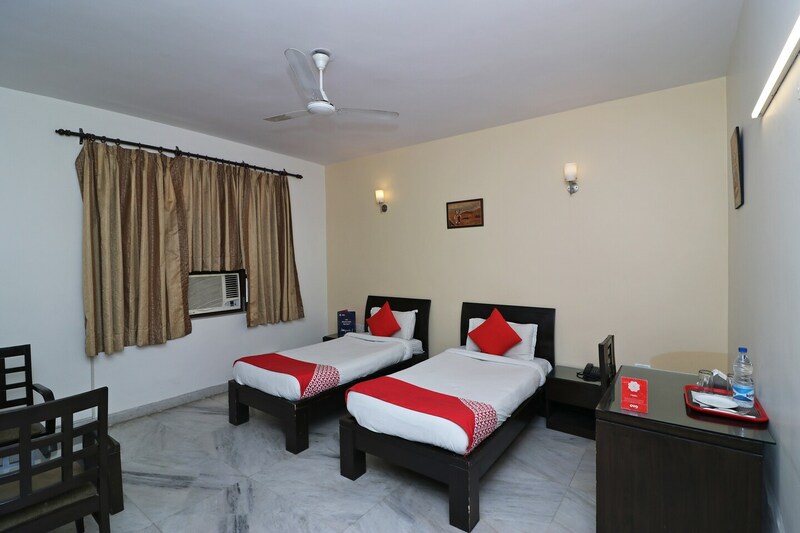 The rooms are equipped with modern amenities like AC, Geyser, Room Heater and much more. Take a tour of the Manesar and explore key attractions like Sultanpur National Park and Rivoli Gardan Shitla Mata Mandir. If you run out of cash, there is ICICI ATM, HDFC Bank Atm and OBC ATM very close to the hotel.